hello my lovely little deerlings! today i would like to talk about pretty much my favourite eyeliner ever~ it is the dolly wink liquid eyeliner in black as produced by gyaru model and popteen graduate, masuwaka tsubasa! 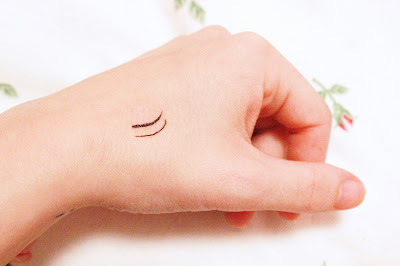 it is honestly the most perfect liquid liner and it's great for beginners who may be more used to an eyeliner pencil feel and aren't comfortable with most western liquid eyeliner that tend to be very thick and messy! you can find this eyeliner online on pinky paradise for an incredibly fair price here !! 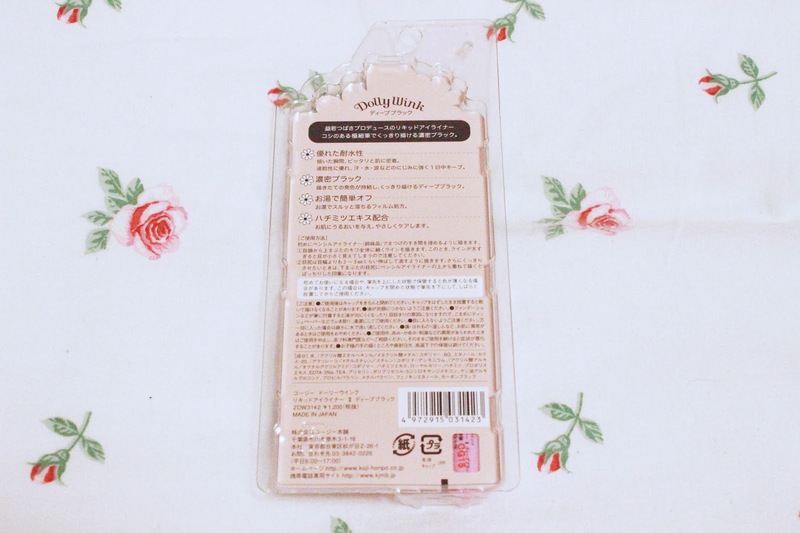 when you receive the package, the first thing i notice is the incredibly cute packaging of the eyeliner itself! i cannot express to you enough how adorable it is! with daisies a la marc jacobs style, a little tsubasa-chan on the front and one of the prettiest fonts i have ever seen; it is super eye catching. you almost don't want to throw away the packaging! 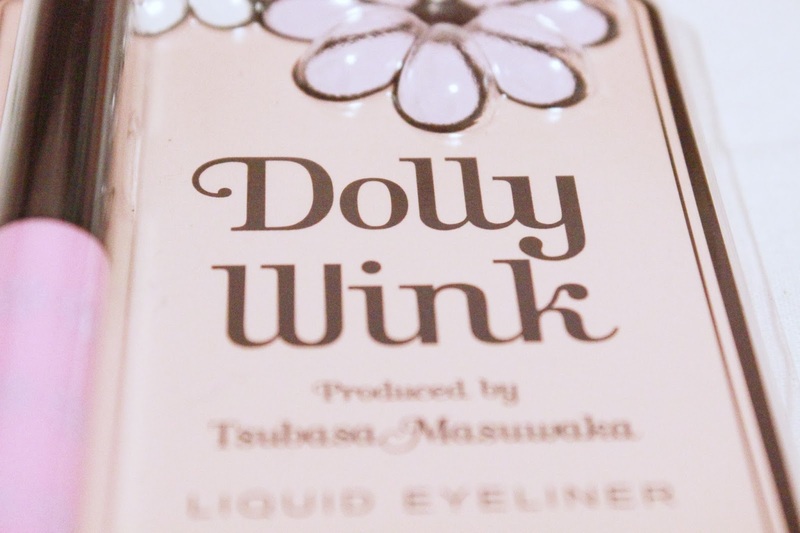 the light pink is one of the softest pastels and the little lavender-periwinkle flowers all over it just adds such a cute and feminine touch; exactly what the dolly wink brand is aiming for. unlike most liquid eyeliners, the eyeliner pen itself presents much like an eyeliner pencil. instead of manipulating a wand, you're manipulating a stick with a cap to cover the tip when it is not in use. 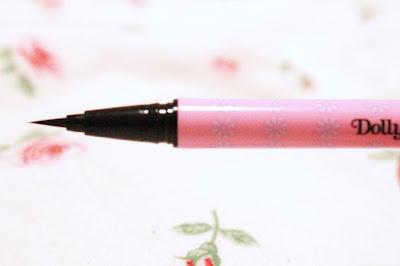 the eyeliner goes on super thin as you can see, which is absolutely perfect for precision! with most western style brands of eyeliner, i find the wand can be a little bulky at the tip- even if it promotes a thin, fine tip. as such, it can go on a little too thick in some places and it's just overall very messy. 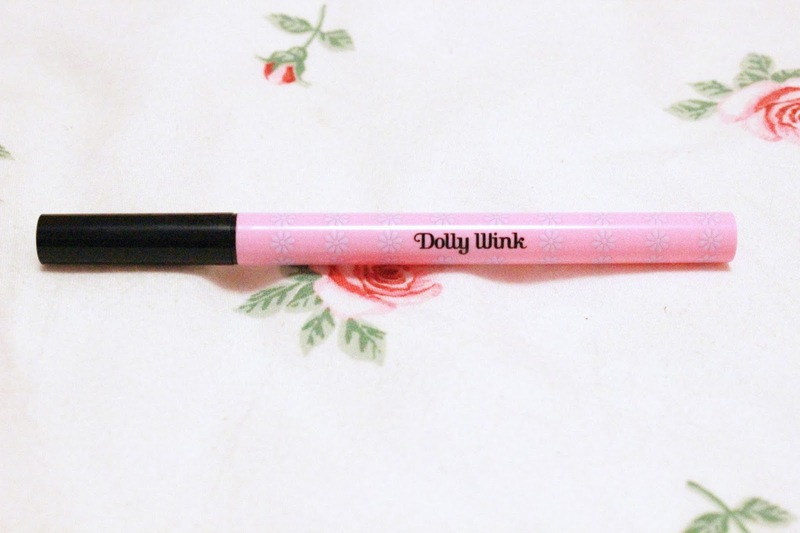 however, with the dolly wink liquid eyeliner, the tip is always fine and always on point. it allows you to be able to take your time and draw a thin straight line to define your eyes. the precision also allows for the perfect cat eye, the perfect dolly eye, the perfect dog eye and literally whatever little design your heart so desires. it is also perfect for a little heart like marina from marina and the diamonds. i found it a little hard to get used to at first, however. i was not used to having to take longer on thickening the line, however, i was amazed almost immediately how clean everything it was and how easy and quick it was to avoid smudging. even when i did extend a line too far, it was easy to remove with the pad of my finger! 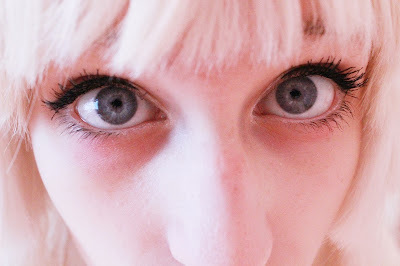 however, even despite this, the eyeliner is super long lasting and can stay on your eyes throughout the course of a full day out~ you can even go to sleep with it on and you will wake up and it will be perfectly in tact! this eyeliner is literally the queen of all eyeliners and i honestly can't imagine myself ever using anything else other than dolly wink ever again! it's super easy to use whether you're not very good with liquid eyeliner and are not used to make up/only used to pencil eyeliner or if you're a professional make up artist. 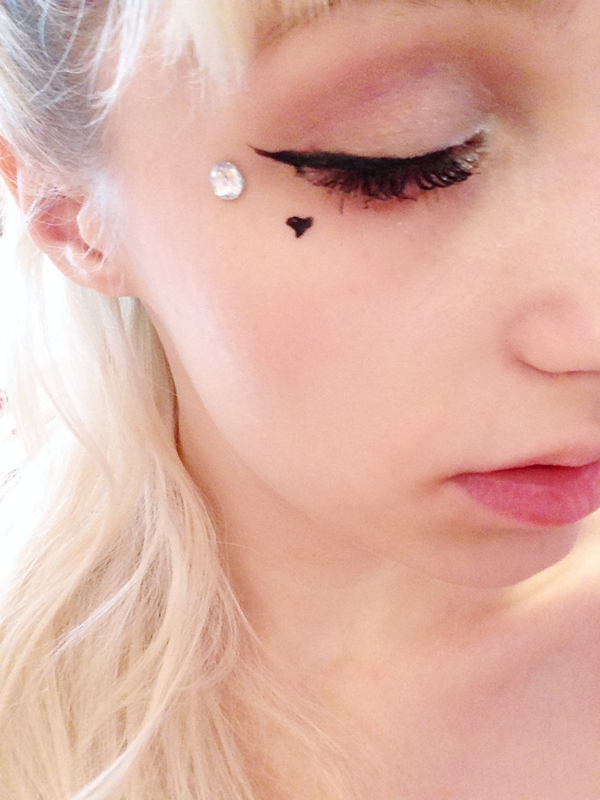 i definitely recommend this eyeliner hands down! 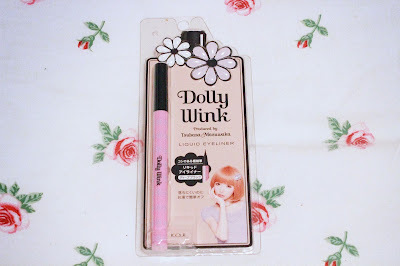 i really hope this helped you all learn about the dolly wink liquid eyeliner. 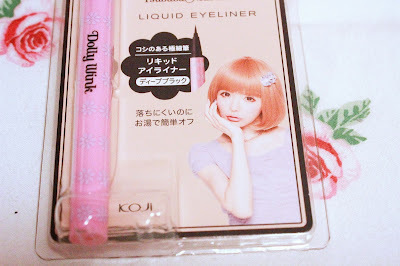 i honestly do believe this eyeliner is for every one~ if you haven't tried out this brand before, please order an eyeliner and let me know how you like it! awww~ ♡♡ thank you so so much, lovely!! 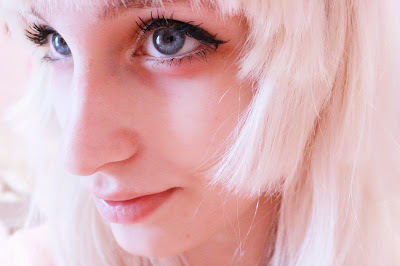 the eyeliner is great. it held up super well overnight after leaving it on after my dance performance last night! i love it! 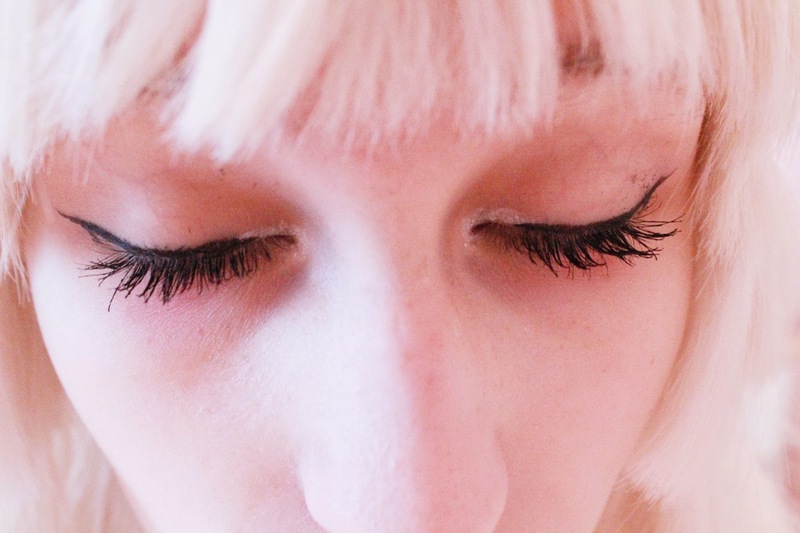 i love your blog, the other stuff from koji dolly wink series are good too! did you try the eyeliner pencil??? 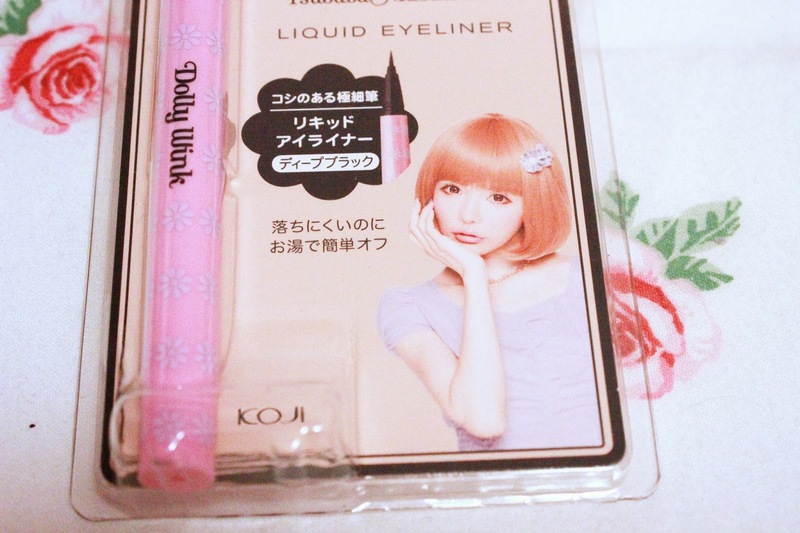 i was wanting to try the pencil one since i got so many liquid eyeliners. like k-pallete, kiss me. Those japanese brand are great! I saw it on beautemart.ca it was pretty cheap compare to the retail store in here toronto. 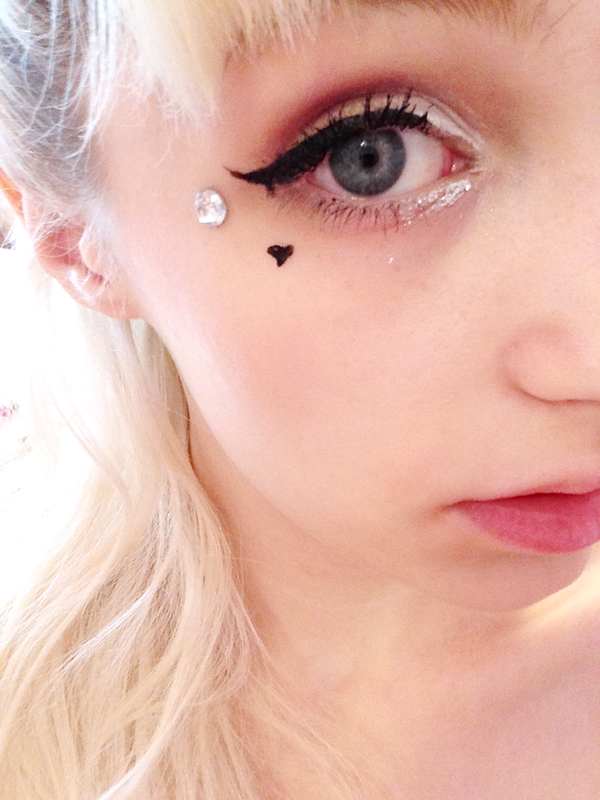 This liquid eyeliner is to die for!